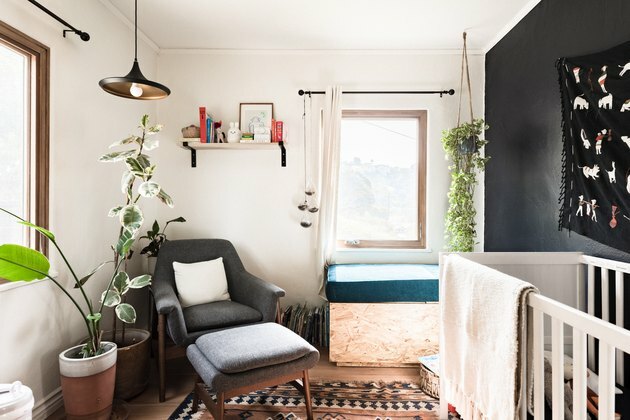 For most young couples, the thought of renovating a 1920s hillside home seems overly ambitious; but for Steph and Scott Cleary, it was simply a matter of seeing it as a series of DIY projects. (Some spanning years!) The two share a similar curiosity for how things work and what it would take to pull them off. 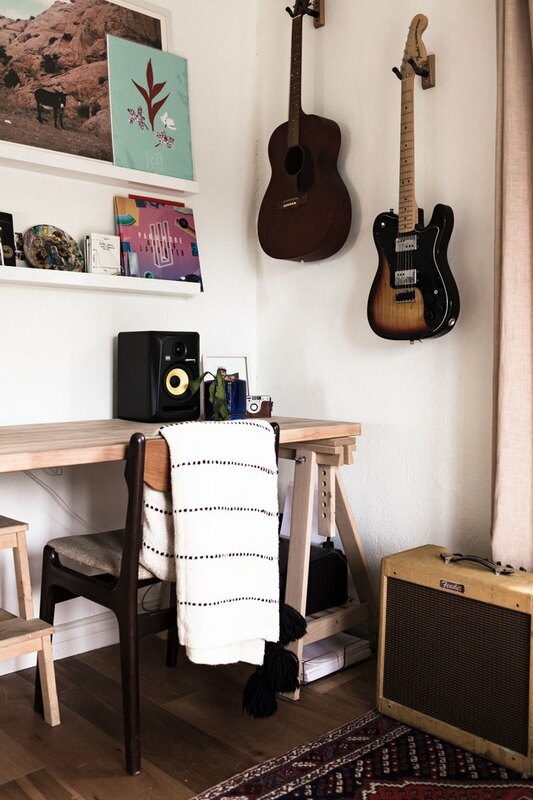 As creatives — Steph, a denim and home goods designer; and Scott, an art director and musician — design is everything. 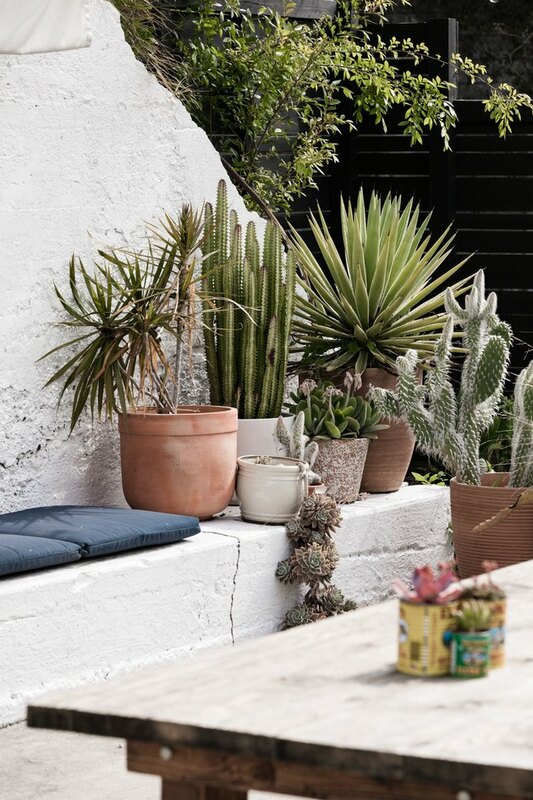 Their resourcefulness combined with their discerning tastes in design and architecture resulted in a complete transformation of the property, inside and out. "The house was very poorly 'flipped' when we bought it. Some of the windows were cracked. Some wouldn't close, others wouldn't open. The floors were the cheapest possible laminate," Steph explains. They began by ripping out the floors and replacing the windows. "We knew they were worth the investment and both made the space feel immediately elevated," says Scott. 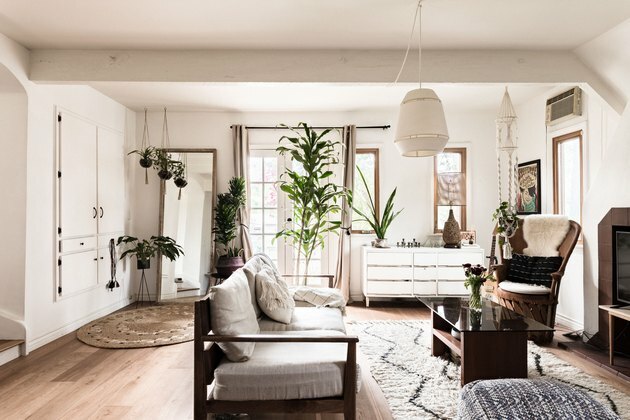 From there, they painted everything white before tackling each room. 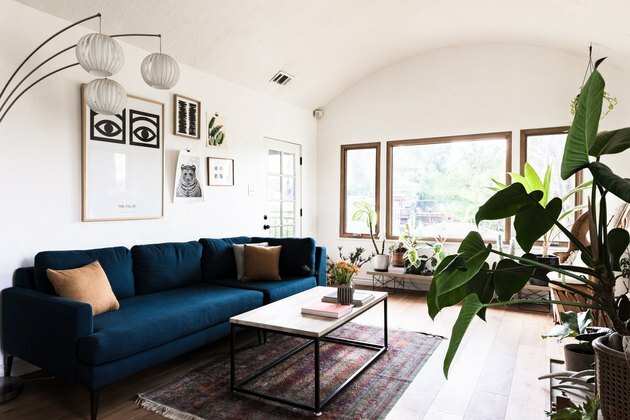 The interiors are an eclectic mix of midcentury modern, vintage, and bohemian; filled with unique, hard-won items they discovered at their local flea markets like Long Beach and Pasadena City College. 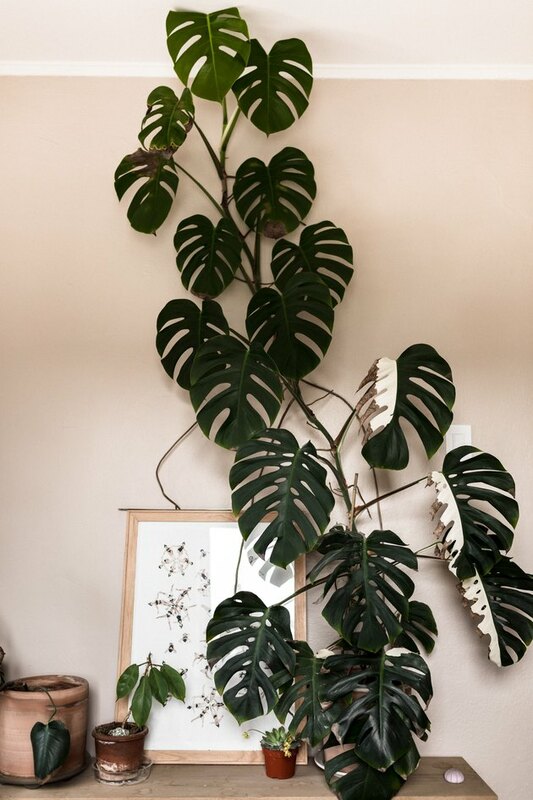 But the defining feature of their home is their impressive collection of plants, which act as the connective tissue between their indoor and outdoor spaces; achieving an immersive feeling of nature throughout. "Most of our decor is plants," says Steph, who has become a regular at Echo Garden, a local nursery. 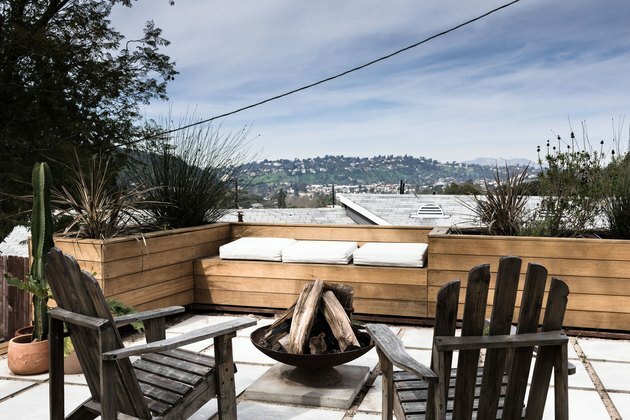 Uniquely perched on a hillside corner lot, the enormous yard space boasted endless potential. 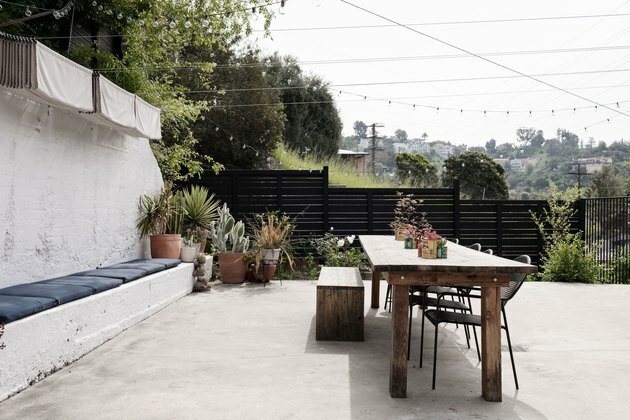 After receiving several expensive quotes, the Clearys opted to tackle it themselves, dedicating the last few summers to completely reconstructing their yard, making it a functional gathering space for friends and family as well as a place for their toddler, Oslo, to safely explore. "The main goal was to make the upper area usable — that's where our best view is and we didn't want that space to be wasted. We've tried to surround the whole area with plants so it feels like a bit of an oasis, far away from the city," Scott explains. They ran into a few snags along the way with securing permits for their projects. 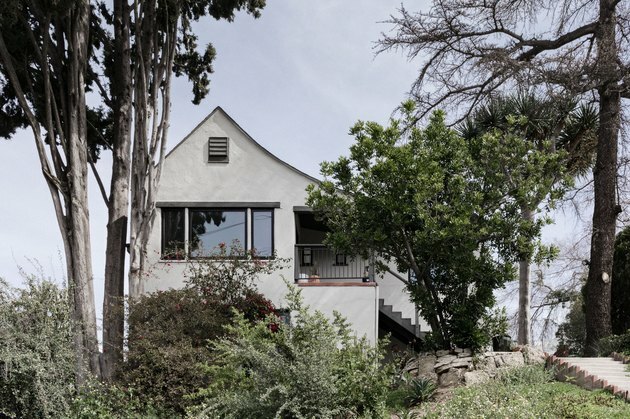 "Buying an old house (1925) on a hillside also comes with its share of headaches. Any permit, soil test, foundation, etc. is going to cost more and involve more parties. Luckily, Scott has some building experience, so we were able to tackle a lot ourselves," Steph says. Their homesteading sensibility inspired them to keep chickens in the yard for a time. "Sadly, the chickens are no longer with us," shares Steph. "There's actually been many a chicken who has tried to survive our backyard, but no matter how much we reinforced the coop, those Highland Park raccoons are far too savage!" 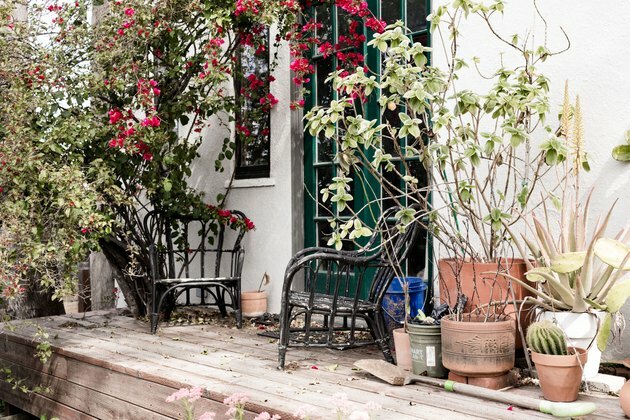 Still, she is committed to tending to her garden, and recently purchased a little gardening kit fo Oslo so they could spend more time together outside. 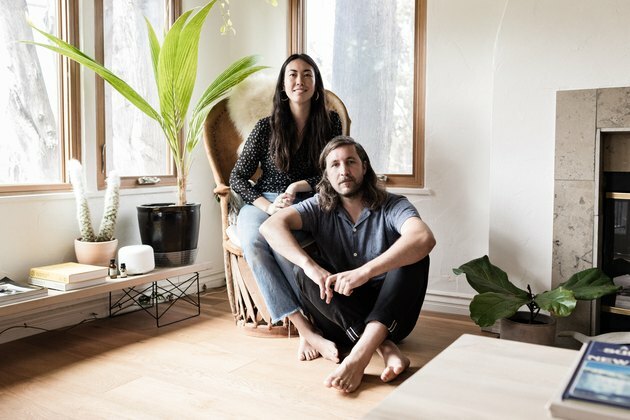 Keeping with the couple's collaborative spirit, they launched a home textiles brand in 2016 called Morrow Soft Goods with friends and business partners James and Michelle Toney. 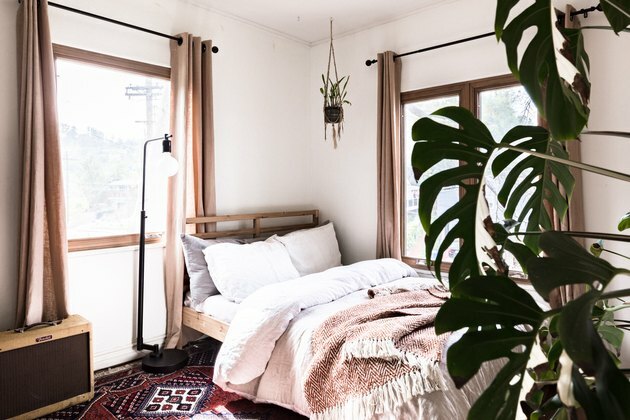 "We focus on high-quality home textiles including linen bedding, alpaca blankets and all sorts of other lovely things. We wanted to create a home brand that took on a fashion approach. Design-forward but still practical," says Steph. The brand is a reflection of their commitment to quality and durability, wanting bedding that had a luxury feel but was still affordable. 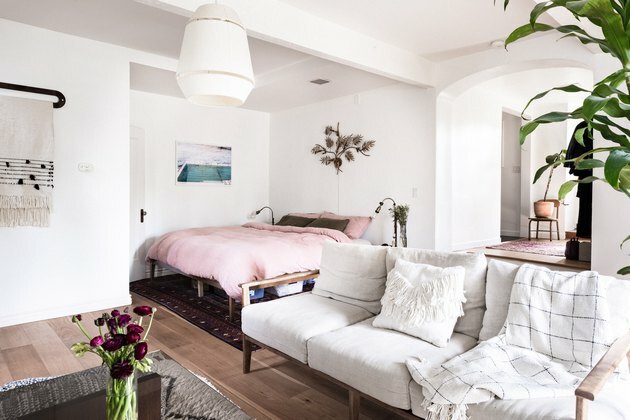 The friends brought their combined expertise in design, architecture, and advertising to create a line of bedding they weren't seeing in the market and wanted to own themselves. Scott had a lot of branding experience and Steph, a longtime denim designer, "treated it like a high-end fashion label in order to set ourselves apart," Scott shares. In just a few short years, the business has grown significantly, and so have the product offerings. "We're about to launch our first run of cotton blankets, handwoven in India. We're continuously developing all of the product line — adding to our blanket and pillow assortment as well as introducing rugs," Steph says. 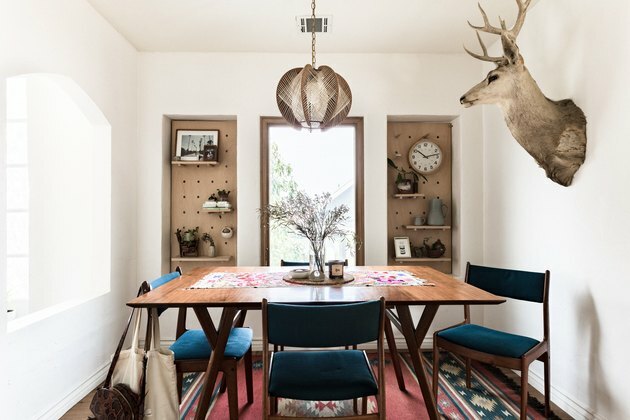 The business has taught them a lot about what's trending in the home goods space, and what they found surprised them. "Everyone told us white would always be our number one seller, but there's a real need and demand for well-curated colorways in home goods. 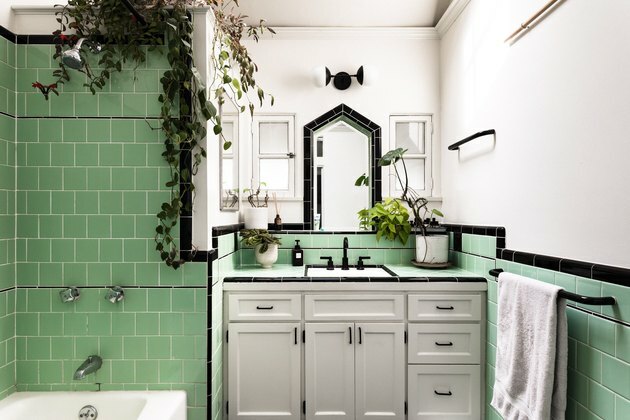 White will always be classic, but more and more people are adding color to their homes, which was always our hope," says Steph. When it comes to working together on a business, home and raising their son, it all comes down to trusting one another, the couple says. "We're a healthy balance of encouragement and constructive critique. It's not always easy, but we have to work through the process to good solutions. We rely on and trust each others' strengths and all in all respect each others' experience and sensibilities," shares Steph. And with so many projects on their plate and a growing family, it's no surprise that the Clearys cherish their bed most of all. (They recommend heirloom french linen in mauve.) 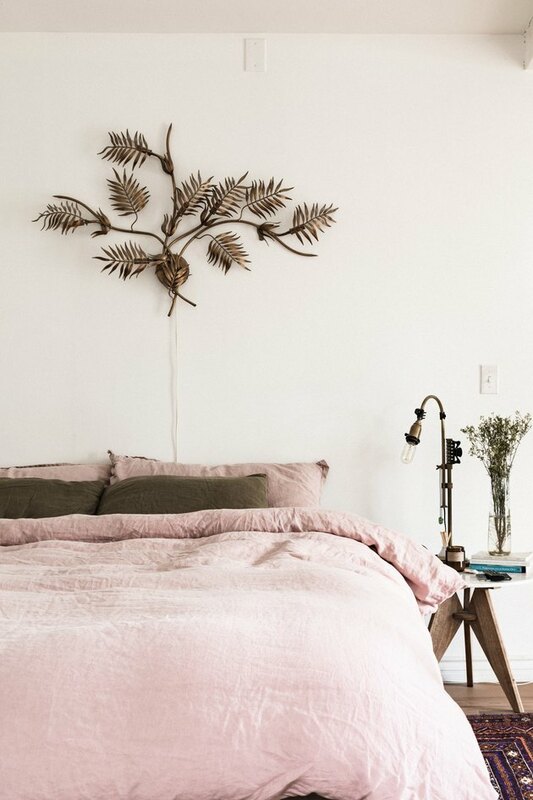 As purveyors of some of the best bedding out there, a good night's rest is not just a priority, but their life's work. Nada Alic is a writer and editor living in Los Angeles. 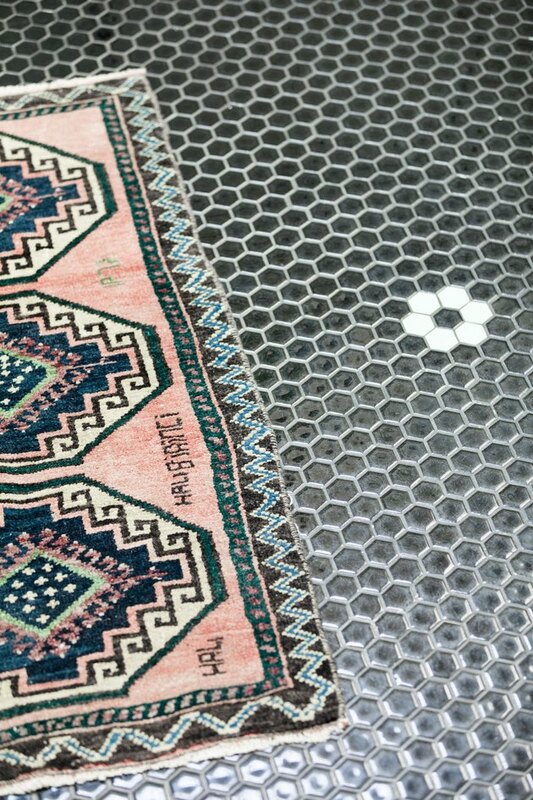 Talking Women and Ethical Design With Anchal Project and Armadillo & Co.